Kithara Software has announced support for the PCAN-USB FD adapter by Peak-Systems with the real-time environment Realtime Suite. In doing so, Kithara expands its cooperation with the German supplier. Due to the collaboration between Peak-Systems and Kithara Software as well as extensive tests, the PCAN-USB FD adapter can now also be applied with real-time capabilities. 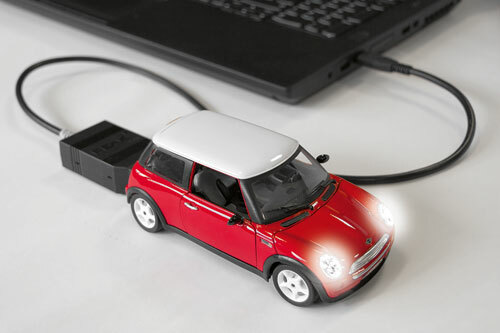 The adapter allows for the connection of CAN FD and LIN networks with up to two ports via the USB interface of a PC. The basis for this hardware support is the already proven real-time functions for both CAN (FD) and USB. “The broad hardware support of our software has always been a crucial factor for us. For this matter, we capitalize on the cooperation with renowned hardware manufacturers such as Peak-Systems. This allows us to make specific hardware recommendations for our customers in order to optimize both functionality and performance in combination with our software”, confirmed Uwe Jesgarz, managing director of Kithara Software. Real-time capabilities for interfaces such as Classical CAN, CAN FD, and Flexray are used especially in the development and application of automotive test systems. In this field, individual components as well as complete hardware systems utilize reaction times in order to test and analyze under real-life conditions. For Kithara, the automotive sector has become one of the most important fields of application. A large part of products and features released by the Berlin software company in the past few years, were developed with a special focus on automotive technologies.